Paragard is an IUD that does not contain any hormones at all. The copper coil around the shaft of the T-shaped slowly releases copper iron into the uterine cavity and makes the womb inhospitable to both sperm and egg and creates an environment unlikely to yield fertilization. Paragard can last up to ten years and can be removed if your goals change when it comes to family planning. Paragard is approved by the FDA, yet utilized by less than two percent of the women who use contraceptives. When making the decision to use a long-term contraceptive, you and your doctor can decide what's right for you. 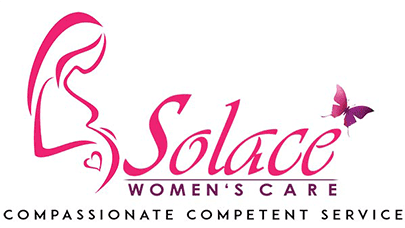 Call Solace Women's Care to discuss your options to avoid unwanted pregnancy or if you have questions about any of our gynecology services. When looking for a hormone-free, long-term, contraceptive consider Paragard. It is a small flexible T-shaped device wrapped in copper that releases copper iron in to the uterus to prevent pregnancy. Your healthcare provider places the device in your uterus during an office visit. Once it has been inserted, you just need to check for the attached string once a moth to make sure it is still in place. Paragard is more than ninety-nine percent effective with no hormones at all. If you're wondering about long acting reversible contraception (LARC), contact Solace Women's Care in Conroe, Texas to schedule an appointment with a health care provider. There's no one-size-fits-all birth control and there are many options for long term birth control. IUDs, injections and sub-dermal implants are among the choices you will encounter when researching LARCs. These options are all remarkably effective and safe with limited side effects, and best of all, if your needs change they can be removed.